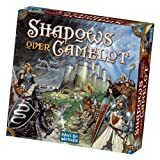 Shadows Over Camelot is ana co-operative deduction board game based on the legend of King Arthur and the knights of the Round Table. Each player takes on the role of such a Knight and it's possible that someone plays as a traitor. All players try to fulfill quests. When quests are completed, then white swords are placed on the Round table. Failed quests place black swords. The game is cooperative in that a shared victory or loss is possible in the absence of a traitor, and a traitor does not benefit by revealing himself too early. The endgame with a revealed traitor is, by contrast, a competitive game of asymmetric teams. 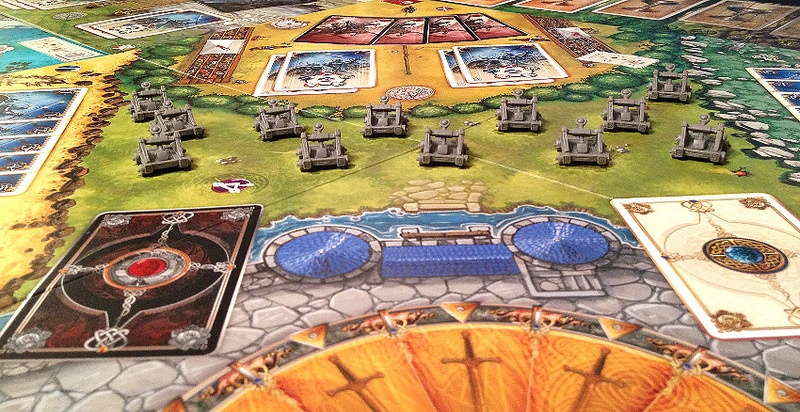 All players can get a shared victory when they are able to have a majority of white swords on the Round Table before Camelot falls. But beware, one of the players pretend to be a loyal member but secretly he/she is hindering the others and waiting to strike hard at the worst possible moment. When he is revealed, the endgame with asymmetric teams starts. Camelot has a specific Heroic Action attached to each of its two sections, the Round Table and the Siege area outside the fortress' walls. 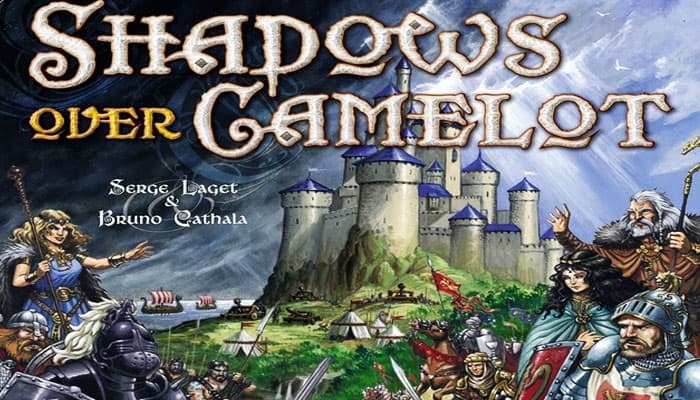 When in Camelot, you may choose to perform a Heroic Action to: Draw 2 White cards Or Fight a Siege Engine. At the start of the game, in a gesture of the collaboration to come, each player must select one White card from his hand and place it, face up, on the Round Table. A discussion should ensue about how to best share those cards among all the Knights.